Snooze the days away in this koozie and stash pocket-equipped hammock inspired by ultimate snowboard camp experience! 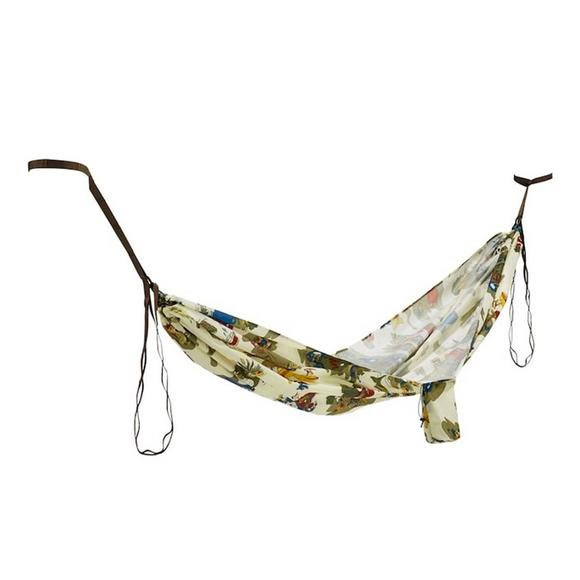 The Burton Honey-Baked Hammock ensures you'll never be without a place to comfortably kick it. From campsite or festival to back deck or backyard, the 200-denier machine-washable polyester design deploys quickly and sets up easily with built-in cords. Snooze the days away in this koozie and stash pocket-equipped hammock inspired by ultimate snowboard camp experience! The Burton Honey-Baked Hammock ensures you&apos;ll never be without a place to comfortably kick it. From campsite or festival to back deck or backyard, the 200-denier machine-washable polyester design deploys quickly and sets up easily with built-in cords. The included koozie enables hours of afternoon hydration and the entire unit packs small into an attached stuff sack with a hidden stash pocket.